This is a nice summer recipe for a grilled chicken salad. First, pound the chicken breasts flat. I don't know if pound flat is the right term, I just try and get the meat to be an even thickness. It helps to cook it evenly. Season with a chipotle pepper and garlic salt. Heat your grill to medium. I threw some peppers, onions, grape seed oil & kosher salt in a basket and put that on at right away. Just shake the basket a bit each time you add or flip the meat. When it is up to temp, place chicken on grill. Grill for 4-5 minutes on each side. 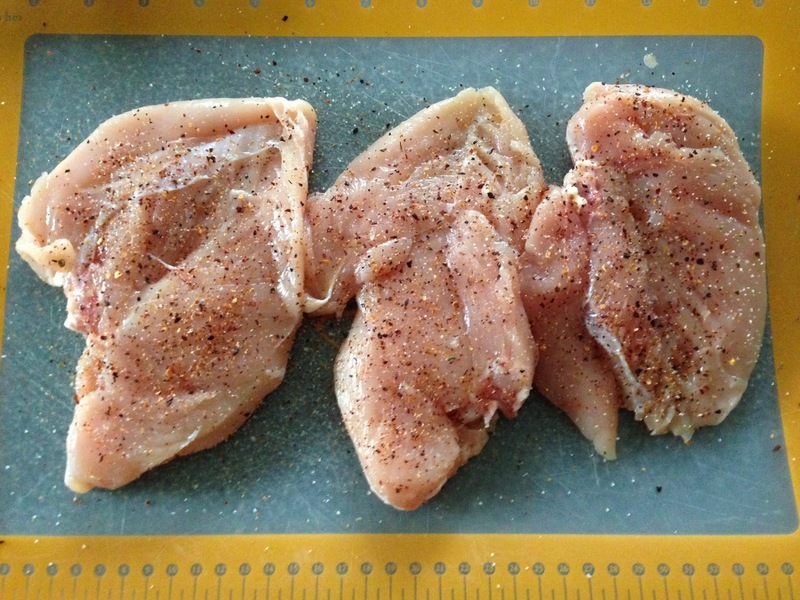 After you take the chicken off the grill, let them rest for a couple minutes before you slice them. While you wait, put some spinach greens & chopped tomato in a bowl. Place your grilled chicken, roasted peppers & freshly made guac on your salad!